House Managers are responsible for the day to day running of one of the venues, and is the "public face" of the venue. Generally House Managers are selected from our returning volunteers and will receive training prior to the festival, although there are occasional exceptions. Front of House staff will be rotated around various jobs. If you have a special reason for preferring not to do a particular job - for example, if English is not your first language and you don't feel happy working in the box office - you should discuss this with the House Manager on your shift. However, we do expect that people will generally do their share of all jobs. Box Office -- The box office is usually the public's first contact with the venue. 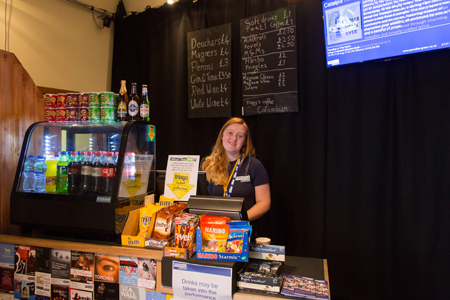 As well as selling tickets, the box office acts as a communication centre within the venue, especially in case of evacuation, when the box office has specific responsibilities as detailed in the Evacuation Procedures. Snack Bars -- Each venue has a Snack Bar which offers a wide range of snacks, hot drinks, soft drinks and alcoholic beverages. Bar training will be provided in accordance with relevant licensing conditions. Usher -- This job involves managing audiences queuing for shows, making announcements to audiences, taking tickets as people enter the auditorium, showing latecomers to seats, and distributing programmes. Ushers will sometimes be required to sit in performances, typically where the show is aimed at children. Other tasks -- There are many other tasks you may be asked to help with, such as cleaning, creating displays of publicity materials, distributing our brochures, or accompanying somebody on a shopping trip to the cash-and-carry. Front of House staff will be covered by new and returning volunteers. The Duty Assistant is a floating member of Front of House staff who works under the Duty Manager, allowing us to flexibly meet peak demands in both of our venues. Duty Assistants will be covered by new and returning volunteers. The Tech Manager is responsible for leading a team of techicians and coordinating the day to day technical operation of both venues. Carrying out visual safety inspections of the lighting grids, and checking fire extinguishers, exits and walkways, seating etc. Generally Tech Managers are selected from our returning volunteers and will receive training prior to the festival, although there are occasional exceptions. Technicians are responsible for the day-to-day technical operation of the venue, working closely with the Tech Manager. Technicians will be covered by new and returning volunteers. Show Operators must be able to do weeks 1, 2 and 3 as well as being prepared to only do this role and not rotate around the other roles. A show operator will be given 2 or 3 shows to operate each week, meaning they will sit in the fit up and each performance of a show and operate the technically equipment (usually the sound and or lighting desk) for the performing company. 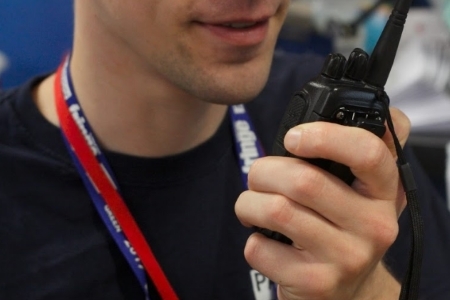 Unlike the other roles, show operators do not work shifts, they are simply expected to be in attendance for the fit ups and performances of the shows they are assigned to. It should also be noted that these roles do not get a day off in the 3 weeks as every day is either a performance or a fit up, however the working time of this role is greatly reduced compared to staff on a standard shift in order to allow volunteers the maximum opportunity to enjoy the Fringe around the performances they have been allocated. Week 0 is where we transform the buildings into theatres. Starting times each day will generally be determined by the need to receive deliveries / prepare pick-ups etc. Week 4 is when we transform our theatres back into their normal configuration. 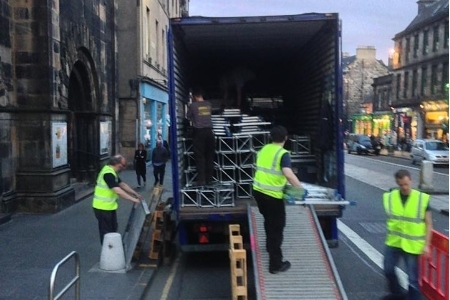 So you get to de-rig lighting and sound systems, take down scaffolding, clean the venues, etc. Staff working these weeks should generally expect to work rather longer hours than in other weeks, and should come prepared for hard (and often rather dirty) manual work! The Duty Manager has overall responsibility for both our venues and for coordinating between the House and Tech Managers. Duty Managers will be selected from our most experienced House and Tech Managers, with thorough training being provided prior to the festival. The Press & Marketing team is led by a Press & Marketing Manager, who is usually selected from our returning Press & Marketing volunteers. The Press & Marketing Manager will lead a team of Press & Marketing Assistants in providing excellent customer service to our performing companies. The Press & Marketing team will be covered by new and returning volunteers, who we prefer to come for the entirety of weeks 1 - 3. We are also looking for keen photographers and videographers to create content for use during the festival and year round. The Office Manager runs the Paradise Green office in Augustines. This is where the general day-to-day administration and financial management is done. It is also the main contact point for companies, press enquiries, management of staff (including the shift rota), etc. Generally Office Managers are selected from our returning volunteers and will receive training prior to the festival, although there are occasional exceptions. We use a professional grade kitchen inside Augustines to prepare food for our volunteers. If you like cooking, and want to expose 40+ people to your food, then let us know. Kitchen staff will also spend time working elsewhere in the venue. If you do not have a food hygiene certificate, we may pay for you to take an official on-line course (lasts about 2 hours) from which you get a nationally recognised qualification. The kitchen is run each day by a Kitchen Manager, who is usually selected from our returning Kitchen volunteers. There is also a Kitchen Assistant who works closely with the Kitchen Manager and will be covered by new and returning volunteers. Paradise Green Promotions is a Company Limited by Guarantee.